This is a spell I did recently. Sometimes people, things, whatever create obstacles in your path. If someone or something is effecting your energy in a negative way, you are feeling depressed, hurt, out of control, then this spell will help you tremendously. After I did this spell all the haters were nothing to me, just little figments of my imagination. There is no reason for me to compete with other people or let their negativity effect me in anyway. Problems are like small figments. Illusions… as they never linger and things will always get better. Keep this in mind and be ready to let go and move forward.
. If you don’t have a wishing well then use a make shift one or a bowl of water. Don’t use a well that someone drinks from! This spell is great for a type of difficulties you may be going through. After a break up, after a fight with a friend,or if you are just feeling sad, try this spell. The coins should be sparkling clean. 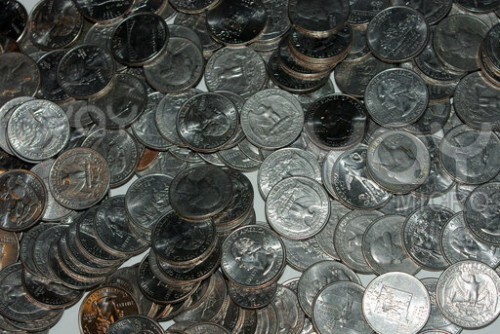 You can do this by scrubbing your coins with backing soda and a tooth brush. The coins should be as clean as possible. Go to your well or natural water source and stand before your well facing West. Do this facing North, East, and South respectfully. This wonderful spell really helped me today, as I was feeling pretty low after my boyfriend lost a good friend of his. You know life is not always going to be great and people change and grow apart. Its sad when people try to hurt others on purpose but as I am a big believer of Karma and a even bigger believer of the 3 fold law, I already know that me and my wonderful boyfriend are protected. I hope the people see the error in their ways and move on from causing hurt. If you are reading this good luck to you! Remember only hurting people try to hurt other people. If someone is hurting you they really have some personal issues going on with them and its not your fault. Trust in the Universe and in your Goddess. All things being equal, people can only hurt you if you let them! I love you all! Thank you for making this site great!